NO licensing in GA and NO exam required. AREA can help you learn how to conduct a comprehensive home inspection. Intro to Home Inspection introduces you to business and construction issues. Methods of Home Inspection provides in-depth construction coverage and mechanical systems. Building Code delves deeper into the international residential code requirements. Receive business and marketing advice, sample reports, and more. Endorsed by Inter National Association of Certified Home Inspectors (Inter NACHI) and Housing Inspection Foundation (HIF). Courses provide opportunity to be a Registered or Certified Inspector. This is the full certificate package! (YES, we know we are much less than other schools. If you want to pay more for same course, and it makes you feel better, we are happy to accept your extra cash). Multiple or returning student discounts may apply. Don't wait - sign up! Course provides an overview of the home inspection process, types of business formation, business operation, marketing, the home inspector’s role in the real estate transaction, tools needed, and a review of residential construction from footers to roof rafters covering the construction process, stages, inspections, and trades associated with residential construction. This course will cover the details of making the inspection – what to inspect; how to inspect; and how to report – including lot, landscape, and grading; foundation; walls, windows, and doors; attics, basements, and crawl spaces; garages and swimming pools; pest infestation; mechanical systems (electrical, plumbing, cooling, and heating systems); and energy and environmental concerns. Comprehensive review of building systems. This course will highlight important international residential code requirements and review common code and safety violations that should be discovered by home inspectors and real estate professionals. Material is presented in an understandable format and students will receive a Code Check book for their future use. 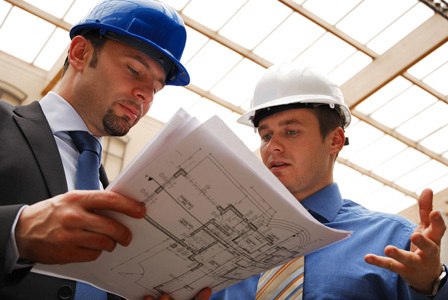 The course will touch on all four of the code compliance topics including building, electrical, HVAC, and plumbing. Prerequisites: Intro to Home Inspection & Residential Construction and Home Inspection Methods required or minimum 2 years of construction building experience. Onsite residential property inspections may be available following each course series. Registration limited to ensure low student/teacher ratios. Inspection process allows home inspectors, appraisers, and/or real estate agents to become familiar with a variety of home construction and maintenance related issues including existing and potential defects. Contact office to be added to wait list or for more information, education@area-ga.com. In a continuing effort to offer students quality education and professional support, AREA is proud to announce that the Home Inspection Courses offered by AREA have been accepted by Inter NACHI and can now display the Education Approved Inter NACHI seal. Completion of the Home Inspection Program along with passing the Inter NACHI online Inspector Exam, earns an AREA student their initial membership in Inter NACHI. AREA is a fully accredited real estate education school. Select a button on the left to see which style course offering best suits your schedule and to receive more detailed information on individual course offerings. Courses can be ordered via online, fax or phone.